Gigi McAllister has been teaching for over 20 years. 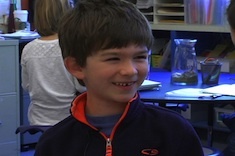 She is currently a literacy coach in Maine and has also taught regular and special education classes in grades 1-6. 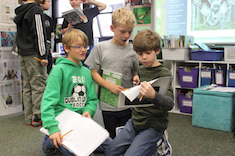 She writes about books and teaching at The Late Bloomer’s Book Blog. 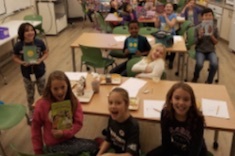 Katrina Edwards dreads lunchtime with her first graders, until she makes a conscious effort to build storytelling skills and share experiences more thoughtfully within the group. Scott Jones explains how thinking outside the normal time frame for writing instruction helped him reach boy writers. 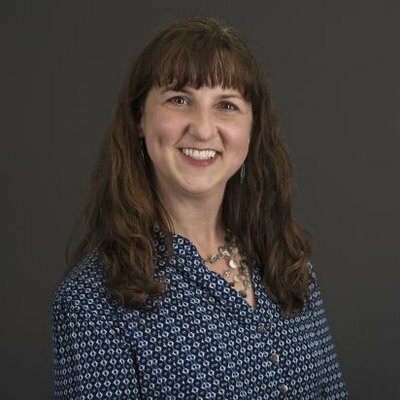 Gigi McAllister is disappointed by the shallow and unexpected responses by her fourth graders to literacy rubrics at the end of the year. 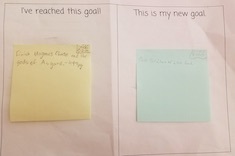 The experience sends her on a quest to do a better job of helping her students learn to set goals and understand what measurable progress looks like over time. 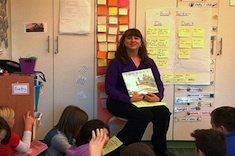 Gigi McAllister meets briefly with a group of fourth graders who are all exploring theme in picture books.